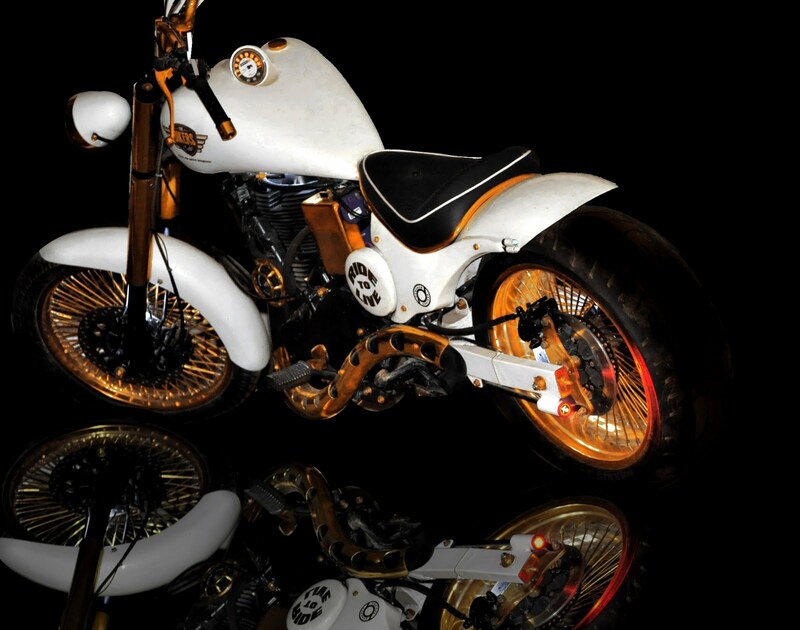 Puranam Designs customise automobiles and motorcycles as per client's requirements designed with the least technical changes. They ensures best performance of end build and creative skills like no other to add a personal character to the machine..
Puranam Design ownership demands intense personal investment and a loyal tracking for distinction. 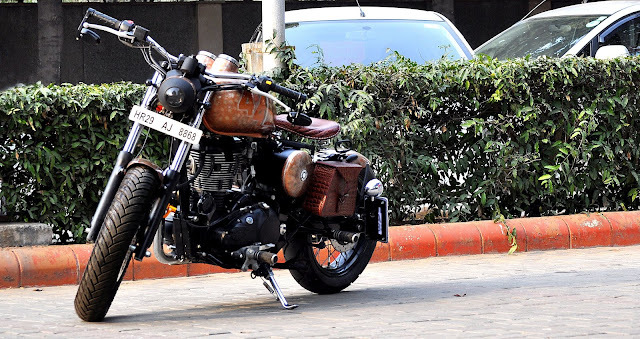 The build name is 44, based on a 2015 Royal Enfield Thunderbird 350cc, talking on the alteration, Santosh Kumar, former of Puranam Design briefed us the details. 2.Short rear and front fenders, Rear rubber completed on 17 inch spoke wheel rim with a 140 size michelin tire. 3.The front tire is on 18 inch with 120 size tire. The perfect round tool box distinctively cloths the thunderbird character. And extended swing arm with a left side number plate. The indicator is used to build the light. An all metal indicator with smoked glass, an innovative headlight developed. The price can be discussed with the clients as per their requirements. The donor bike for the chopper was a 500cc Royal Enfield, apart from the UCE engine the entire bike was restored. Automobiles was always a major interest and passion for P Santosh Kumar, the former of Puranam Design, since an early age of 5.With time and age, this interest and passion grew at multiple degrees and somewhere a small seed for customizing vehicles was germinated. Finally at a stage in life arrived when it was time to take en route. It was a very tough and bold decision to change path from a career in finance to following a dream. This was a stage when a name called Puranam Designs was born. You may call Santosh for more info or if you’re willing to have your bike restored . The bike is beautiful well seated and comfortable and people's buy because of their interest, passion and so on! Please mention us (350CC.com) when you contact Puranam Designs.